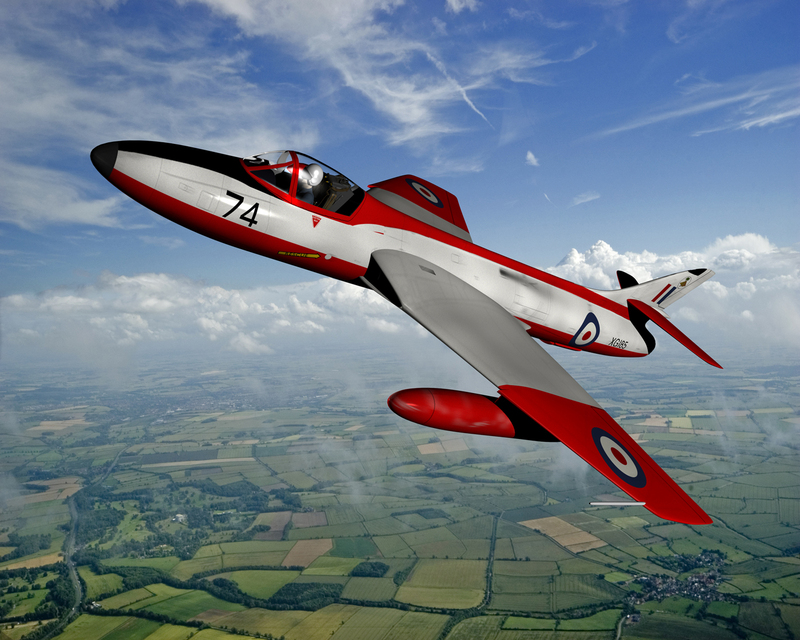 The Hawker Hunter, to my mind, is one of the most beautiful jet fighters ever designed coming from the same stable that designed the Hurricane in the 1930s. I have always wanted to fly one but, alas, never have. The aircraft illustrated here depicts an aircraft from 4 FTS at RAF Chivenor.